Shigeru Ban is a renowned Japanese architect, who is best known for inculcating the designs of both American and Japanese architecture in his work. He is known as the pioneer in introducing cardboard tubes to building construction. His creative designs have been awarded the Pritzker Prize in 2014. 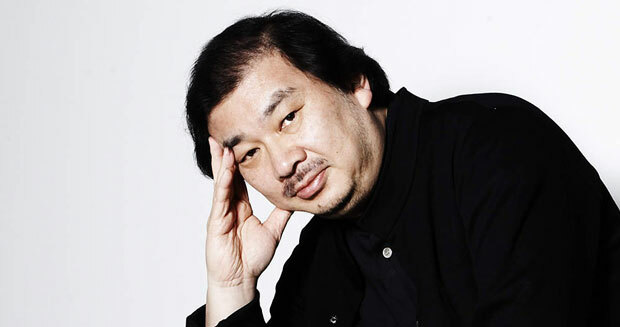 Shigeru Ban was born on August 5, 1958, in Tokyo, Japan. Ban hailed from an affluent family, his father worked at Toyota while his mother was an haute couture designer. From a very early age, Shigeru developed a fascination with the work of carpenters, and he began to build things with little pieces of wood. Soon, he began aspiring to become a carpenter. At school, Shigeru did particularly well in arts and crafts, and in 9th grade, he made a model of house as a holiday assignment, Shigeru’s model was displayed as the best. Gradually, he began to aspire of becoming an architect, however, these ambitions clashed with his passion for rugby. Shigeru had been a rugby player since he was 10 years old, and he had been a member of the Junior Tokyo regional team. In 11th grade, Shigeru played rugby at the National tournament, however, they lost the match, and Shigeru made his choice to pursue architecture instead of rugby. In 1977, he cemented this design by enrolling at the Southern California Institute of Architecture to pursue his education in architecture. Ban was inspired by the environment of the institute, and particularly by the series of Case Study Houses, which were influenced by traditional Japanese designs. In 1980, he completed his 4 years at SCI-Ac, and got a transfer to Cooper Union where he continued his studies. Towards the end of his fourth year, Shigeru decided to take a year off from Cooper Union, and he began working at Arata Isozaki’s firm in Tokyo. However, in 1984, Ban resumed his education at Cooper Union, and received his Bachelor of Architecture. In 1985, Ban ventured out on his own in the professional world, and opened up his practice in Tokyo. Over the next year, he was commissioned for the organization and designed of several projects including the Emilio Ambasz exhibition, the Judith Turner exhibition, Alcar Aalto exhibition, and as the curator of the Axis Gallery. In addition to this, Ban also began to design a series of houses as case studies, these designs include his “PC Pile House,” “House of Double-Roof,” “Furniture House,” “Curtain Wall House,” “2/5 House,” “Wall-Less House,” and “Naked House”. Ban proposed a paper-tube shelters design to the United Nations High Commissioner for Refugees as a possible solution to the influx caused by the two million refugees who had escaped the Rwandan Civil War in 1994. His designs were praised, and he was hired as a consultant by the United Nations. Following the Kobe Earthquake in 1995, Shigeru built the “Paper Log House” to accommodate the Vietnamese refugees, and later, he built the Takatori “Paper Church” along with student volunteers. Now, Ban began to identify and emphasize with the poverty and inadequate shelter facilities provided to the refugees scattered in different parts of the world, he wanted to make an initiative to address the problems of these grief stricken refugees, and he laid the foundation of his NGO Voluntary Architects’ Network (VAN) in order to provide disaster relief assistance. VAN is accredited to have provided temporary housing and shelters to refugees as well as survivors of calamities. The projects undertaken by VAN include building temporary housing in Turkey, western India, Sri Lanka, a temporary school after the 2008 Sichuan earthquake, a concert hall in L’Aquila, Italy and shelters after the 2010 earthquake in Haiti. The efforts of VAN and Shigeru Ban have brought great improvement into the quality of living and environment provided in shelter and temporary houses, which are mostly neglected by authorities. In 1995, Ban received global recognition for his development of the paper-tube structures, and due to his relentless efforts, the Minister of Construction in Japan gave his plan a permanent architecture certificate. Finally, he was able to complete the model for his “Paper House”. In 2000, Ban collaborated with German architect and engineer, Frei Otto, and constructed a gigantic paper-tube grid shell structure for Hanover Expo’s Japan Pavilion in Germany. This design won world-wide acclaim for its recyclable architecture. In 1998, Ban made Nobutaka Higara a partner, and later in 2004, he collaborated with Jean de Gastine and Philip Gumuchdjian. Ban put together a team comprising of European and Japanese students, and constructed a temporary office on the terrace located on the top floor of the Centre Pompidou, Paris, built with a paper-tube structure. In 2001, Ban was appointed as a Professor of Environment and Information Studies at Keio University, he worked there for the next eight years, resigning in 2008. In 2010, he served at Harvard and Cornell Universities as a visiting professor. In 2011, he was appointed as a Professor at Kyoto University of Art and Design. Currently, Ban is involved in developing and creating architecture. He is accredited for the introduction and development of laminated bamboo, structural system designed with shipping containers, wooden structures without metal connectors and the construction of furniture and buildings with carbon fibre. Shigeru Ban is an active volunteer for disaster relief and refugee assistance, in addition to that, he travels all over the world to conduct lectures and seminars.